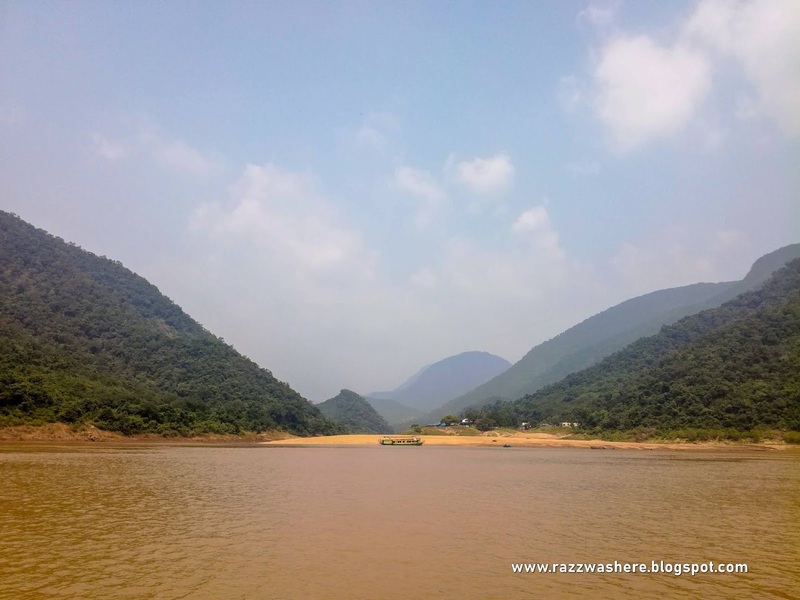 A boat ride through the Majestic Papikondalu Hills, Bhadrachalam. My dad was intent on going. I was less enthusiastic. Dad insisted. I relented. 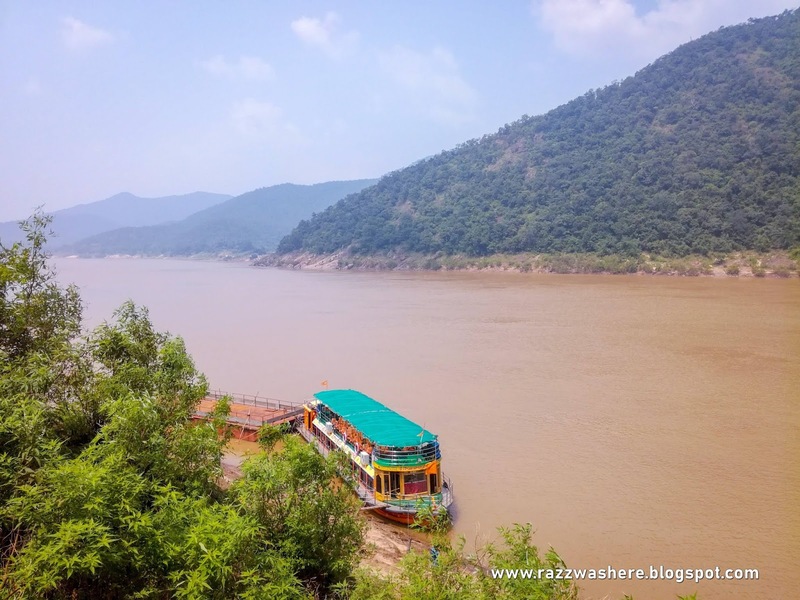 So off we went to Papikondalu Hills one fine day. I was visiting my hometown during the long weekend offered by the Oct 2 holiday. I had 4 days in hand so dad wanted to make the best use of it and go somewhere. We had many options but he was bent on going to Papikondalu hills. We had been there long back when dad took me and my brother along on an office picnic trip with this colleagues and their families. It was a memorable trip and I was awestruck with the whole experience. Going there again now, I was afraid that those warm and magical memories of the place from my childhood would be erased by the present. But seeing that dad wanted to go I agreed. 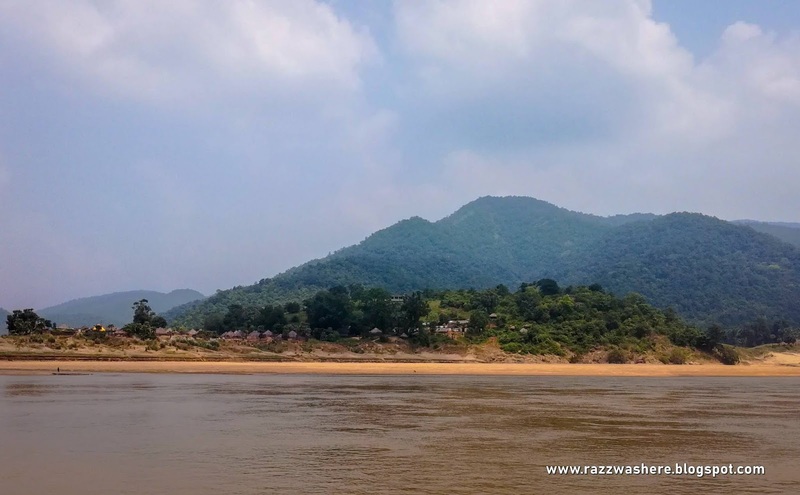 Papikondalu Hills are a series of hills running along the River Godavari spread over Telangana and Andhra Pradesh. There are motorized boats running along the length of the river. These start from a place called Kunavaram near Bhadrachalam and end around Rajamundary. 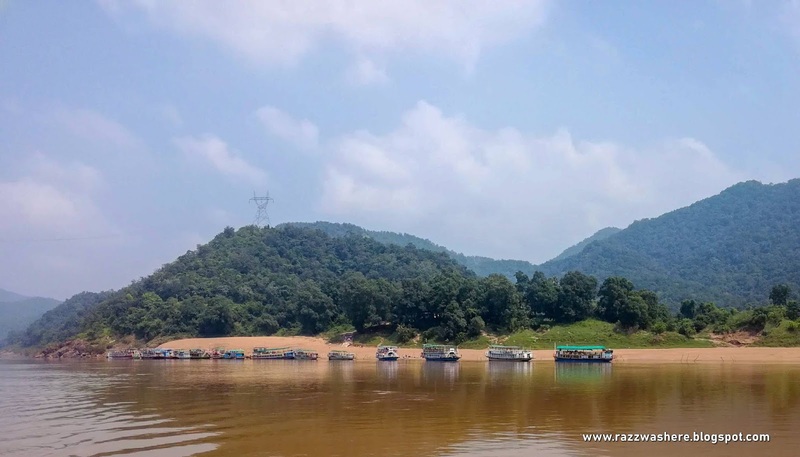 There are 1 day boat ride packages available to get a glimpse of the river, the hills and the people living along the river. One can also opt for a journey to Rajamundary from Bhadrachalam or vice versa. We started early morning in dad's car. The day was wonderful with bright sunshine and a clear blue sky. 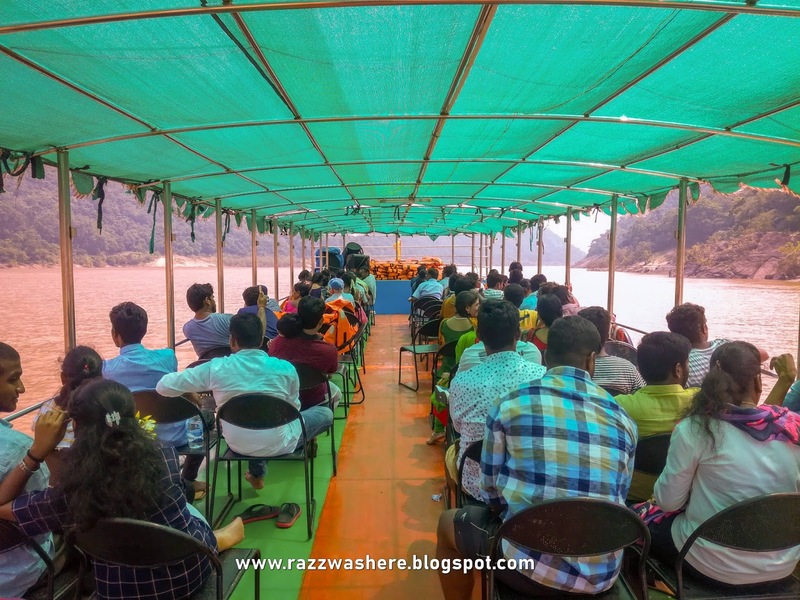 We reached Bhadrachalam where we bought our tickets(Rs 700 per person) from one of the many agencies running the boats on the river. They are all located near the entrance to the Main temple of Bhadrachalam. From here we headed to a place called Pochavaram which is near Kunavaram. Pochavaram is the place from where all the boats leave for the trip. There is ample parking space near the entrance for the vehicles of tourists. As we descended the steps to the river, we could see around 15 boats anchored one after the other near the banks. All the agencies club their tickets and boats and fill up the boats on first come first serve basis. According to the line we were allotted a boat. We trudged across the sand towards our boat. The sun was shining a bit more harshly now forming drops of sweat on my forehead. We boarded our boat and choosing a good spot, sat down. I looked around at the other occupants. It was a fair mix of young couples, college students, families and some elderly couples. The boat had a capacity of around 70 people with two 'floors'. One could either sit below in the relative shade and cool or sit above which offered much better views. One by one the boats ahead of us left and after a frustrating wait of 30 mins our boat too was on its way. The motors whirred and the boat slowly glided over the mud brown water. A voice over the PA announced that the tour had begun and a brief narration of the place started. Whoever was doing the announcements was doing a good job of it as people clearly enjoyed his witty remarks and hilarious one liners in between the more serious talk. 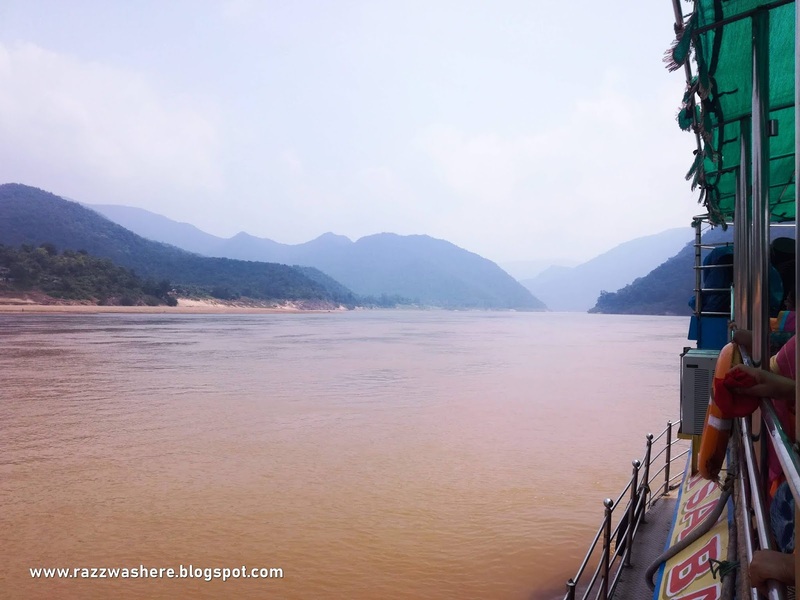 We glided past small hillocks with quaint villages perched on the top, past cows lazily grazing on the grass covered hillocks, and huge cliffs overhanging the muddy turbulent water. Now and then the staff played songs from the latest movies to keep the people entertained. 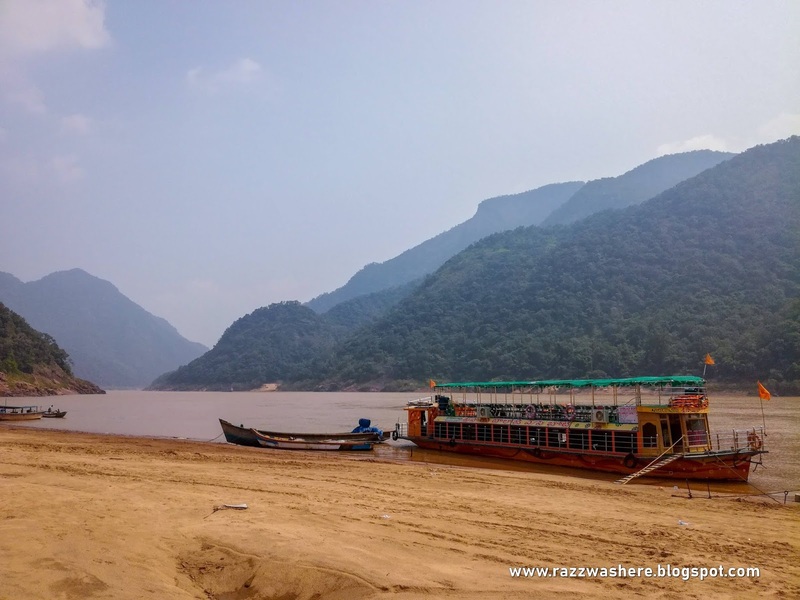 After an hour the boat meandered towards a grass covered hillock and anchored near the banks. Above was the village of Perantalapalli. There is a famous Ashram here and we had an hour to visit it. Some people opted for the visit while some decided to stay on the boat. My dad did the latter while I disembarked and strolled around on the hillock. The top offered a spectacular view of the river and the surroundings so I sat here under the cool shadow of a tree and took in the surroundings. Had it not been for the hot sun now, it would have been a wonderful place to take a nap. From where I sat the river stretched from my left to my right. Directly ahead the opposite bank was a grassy hillock like the one I sat on but shorter in height. Our boat was anchored directly below me, its green top in stark contrast to the brown of the water. Far away I could spot other boats making their way slowly along the river. Our one hour was up soon and I made my way back to the boat where I saw my dad looking around with his Binoculars. No matter where he always carries two things with him, his binoculars and a radio. Our next stop was the Kolleru village where we were to have our lunch. It was very hot now and the thought of having lunch on that hot sand below and hot sun above was not enticing. But we had no option so we made our way to the shabby tent raised on the shores and stood in the line for our turn.We had our lunch standing there in discomfort. After lunch we resumed our trip. From this point we were to head back to the starting point. Now started the entertainment routine of the staff. First three of them danced, then slowly they picked people from the tourists to come up and dance. They chose people randomly but in pairs like old couples, young couples, college students etc. It was good, the staff put in a lot of effort in that sweltering heat and the people loved it. Personally I would rather look around the natural beauty than watch a dance with the latest movies songs blaring in the background. Another 2 hours and we reached the starting point. It was around 4 pm now and we walked back leisurely to our car. My dad was happy with the trip and so was I. - There are two options to reach Pochavaram, the starting point. If you have your own vehicle the ticket price is around Rs 700 to 800. If you need transportation till Pochavaram the price is around Rs 900 to Rs 1000. - You need to be in Pochavaram by 9 30 am. The trip ends around 4 pm in Pochavaram.